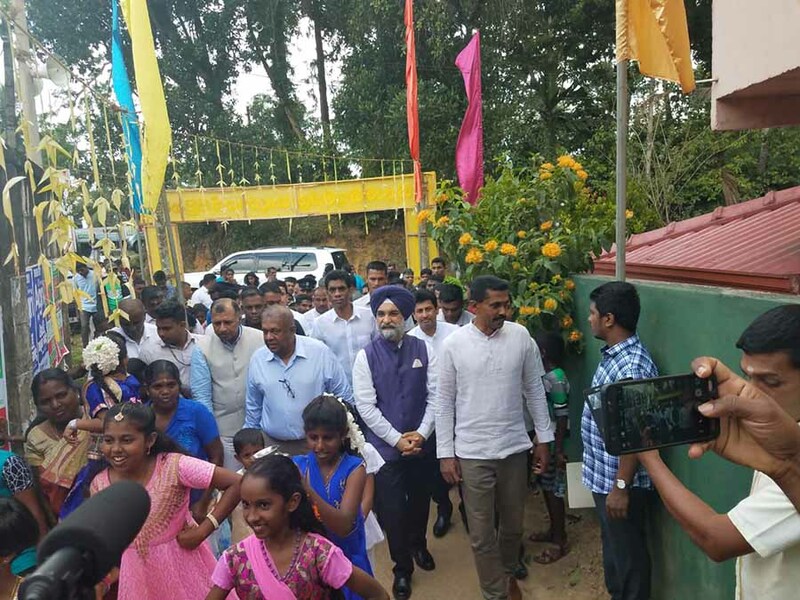 (Lanka e News - 06.April.2019, 11.30PM) In a special event held on April 6, 2019, at Indola Estate in Matara, High Commissioner of India H.E. Mr. Taranjit Singh Sandhu along with Minister of Finance Hon. Mangala Samaraweera and Minister for Hill country New Villages, Infrastructure and Community Development Hon. 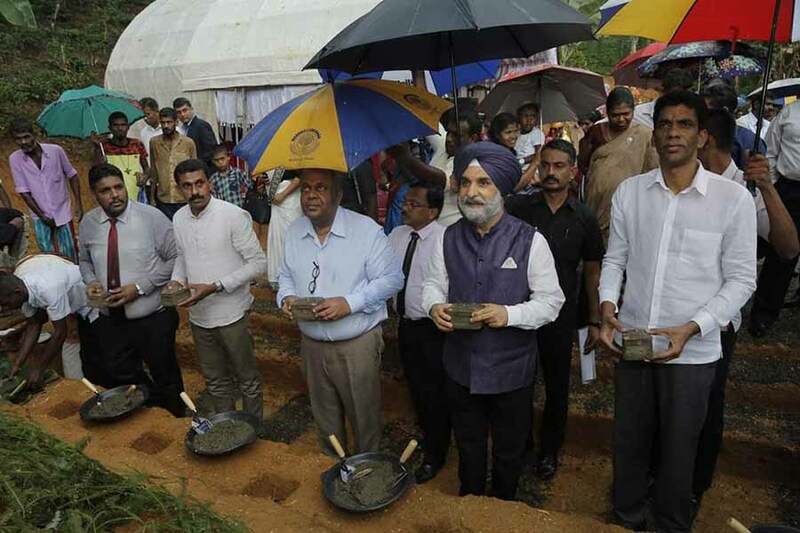 Palani Digambaram, laid foundation stone for 50 new houses being constructed under the Indian Housing Project. 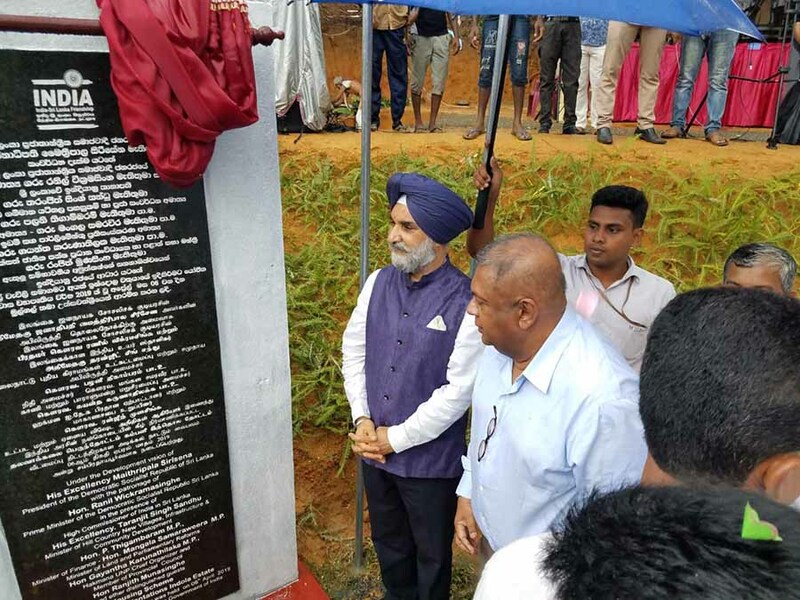 Members of Parliament and Southern Provincial Council, senior Government officials as well as officials from Plantation Human Development Trust (PHDT), Plantation and Estate Management and a large number of people from the Indola Estate participated in the ceremony. High Commissioner in his remarks, reiterated Government and people of India’s commitment to participate with the people of Sri Lanka in their journey towards prosperity and development. Out of the 14000 houses committed by the Government of India in the plantation areas, over 1000 houses have been completed and construction of 3000 is currently underway. As soon as the land for the remaining houses is identified by the Sri Lankan Government, construction of these houses will be undertaken. 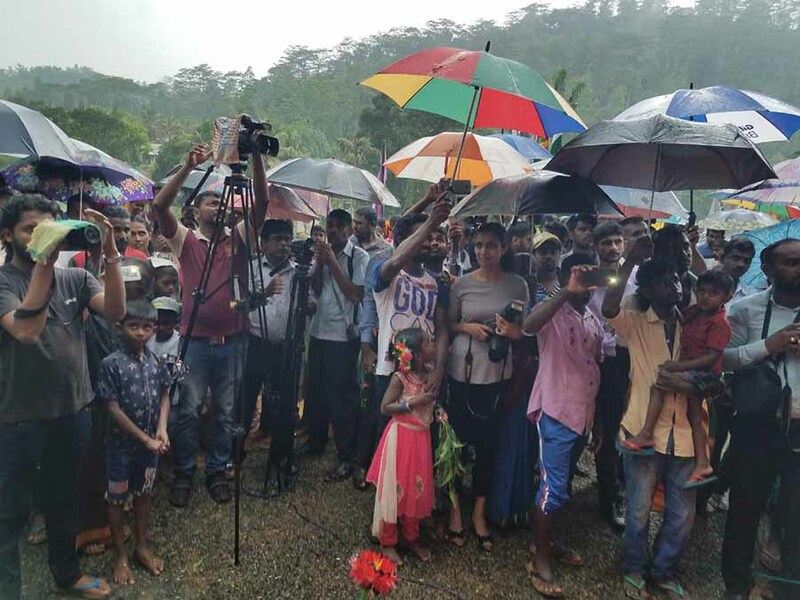 The locations of these houses are in Central and Uva Provinces covering Nuwara Eliya, Badulla, Kandy, Mathala and Monragala and also in Sabragamuva and Southern Provinces including Galle, Matara, Kegalle and Ratnapura. These houses are being constructed under an innovative owner driven process with technical support from independent implementing agencies on behalf of the Government of India viz. UN Habitat, International Federation of Red Cross and Red Crescent (IFRC)/Sri Lanka Red Cross (SLRC), Habitat for Humanity, Sri Lanka and National Housing Development Authority of Sri Lanka. IFRC/SLRC is the implementing agency for the houses being constructed at Indola Estate. 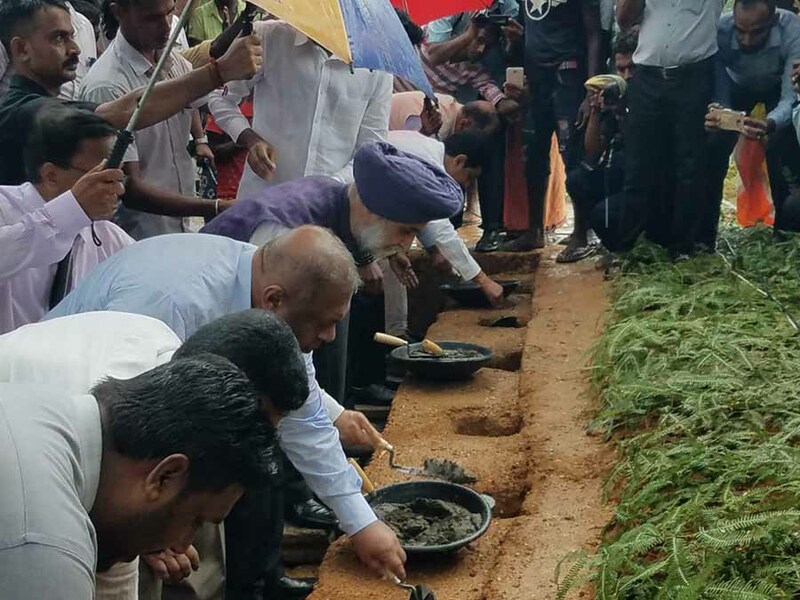 In addition to the houses under the Indian Housing Project, 1200 more houses sre being built seperately under 50 model villages all across the Southern Province including Galle, Matara and Hambabtota. The 1990 free Emergency Ambulance Services under Indian assistance was first implementedin Southern and Western Provinces and followong its tremendous success, it is currently being expanded Island wide. 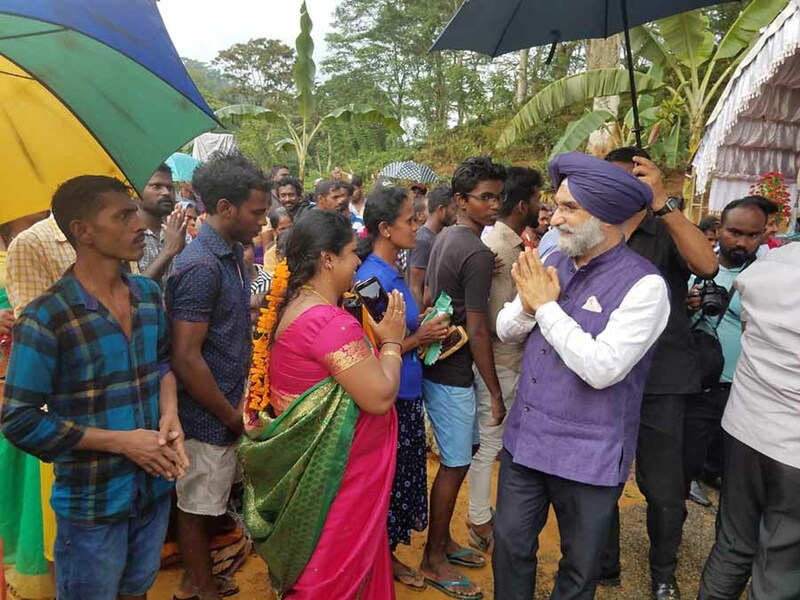 India has undertaken more than 70 people-oriented development projects in various fields including health, education, housing, skill development, infrastructure, vocational training among others, all across the country including the largest University Auditorium in Ruhuna University in Matara. About, 20 such projects are currently under progress. The overall development portfolio of Government of India in Sri Lanka is close to US$ 3 billion out of which US$ 560 million are in grants.